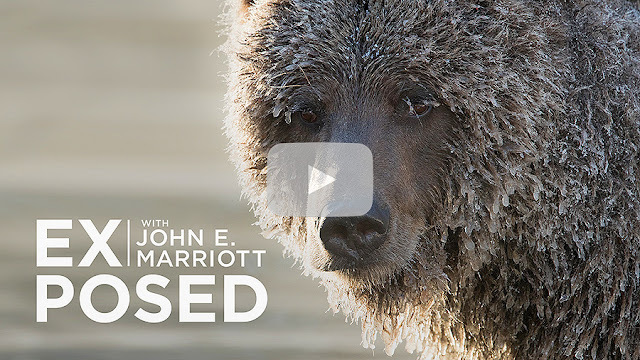 John E Marriott's Wildlife Photography Blog: Two NEW Exposed episodes! Hi everyone, sorry for the lack of blog posts of late, but I've had a lot on the cooker, including two brand new EXPOSED episodes, one of which was our first episode to crack 100,000 viewers! Join me for the Season 2 opener of EXPOSED on the adventure of a lifetime to photograph ice grizzlies on the Arctic Circle in the northern Yukon! Watch it below and let me know what you think! 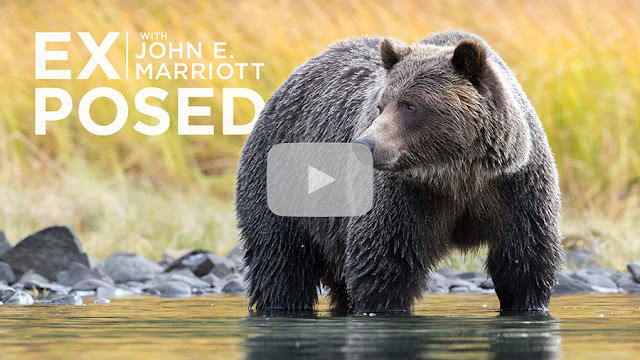 Season 2, Episode 1 takes you along with me into the boreal forest on the Arctic Circle in search of ice grizzlies! We recently followed that up with another hard-hitting episode on the Trophy Grizzly Bear Hunt in British Columbia that examines the questionable politics behind the hunt as the election in BC nears on May 9th.